As winter approaches, I am reminded of the summer days when I had a lot of time (and resources) to make healthy, fresh meals in my own kitchen. One of my favourite supplements to play with at home is spirulina. One tablespoon has 4g of protein, is alkalizing and detoxifying for the body. Though spirulina might seem very fancy and overpriced, one jar is approximately $10 and will definitely last for more than a year if you only use a teaspoon of it a day (which is more than enough to make all these colorful recipes!) You can barely taste the bitterness of it if mixed into smoothies or bowls which is the way I love to make it. 1 Acai packet (frozen, optional). Spriulina is full of chlorophyll, Vitamin A (again helping to minimize the effects of UV light) and other essential nutrients that keep your skin glowy and fresh! It is approximately $12 a jar, but it lasts almost a year or more because you just need the tiniest spoon to get this beautiful, vibrant green colour. 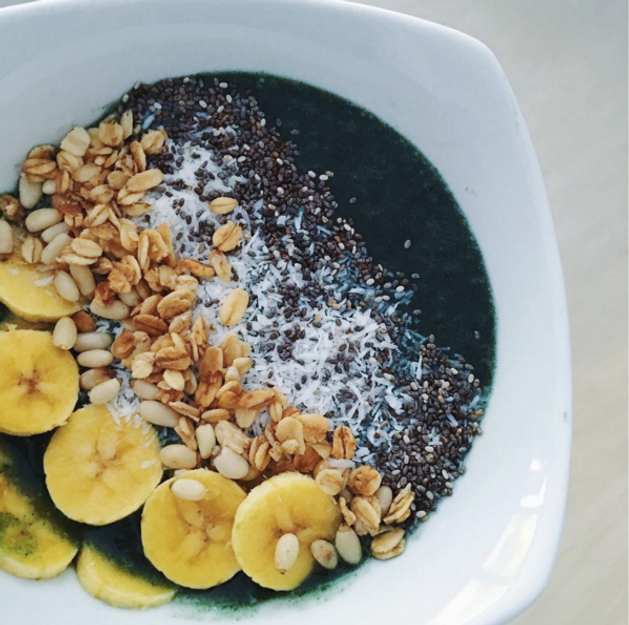 Spirulina Chia Seed Pudding – For those who have a kitchen, spirulina, maple and chia seed pudding is a delicious alternative to morning oats or eggs. With a jelly-like consistency, it’s also an interesting texture for those on the more adventurous side! 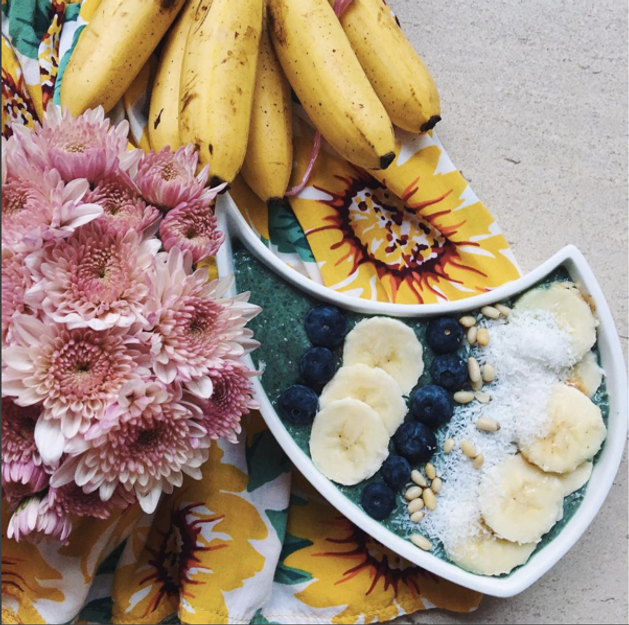 Chia seed puddings are ridiculously easy to prepare (just needing chia seeds, a type of milk, spirulina powder and some maple syrup) and sets in the fridge overnight for easy breakfast on the go. Blending frozen bananas together with spirulina gets you artificial-sugar free ice cream that is a gorgeous green color.